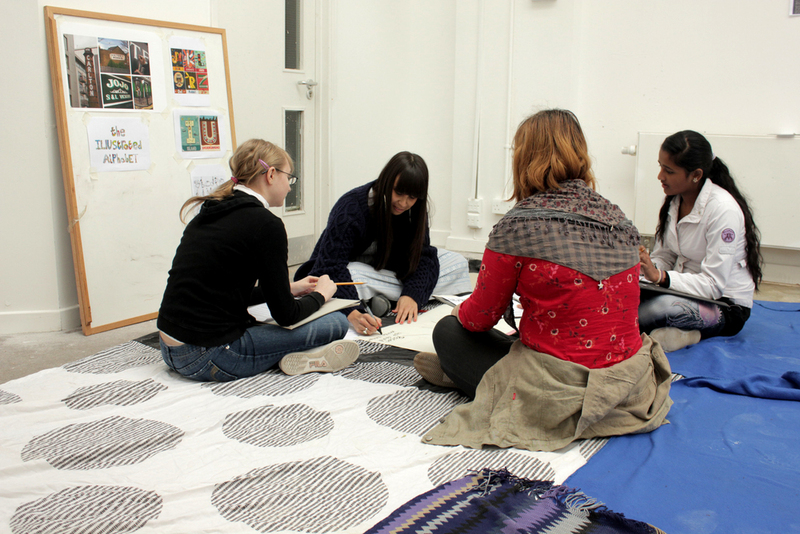 Last Saturday we held a painting workshop at the Cre8 centre in Hackney Wick. 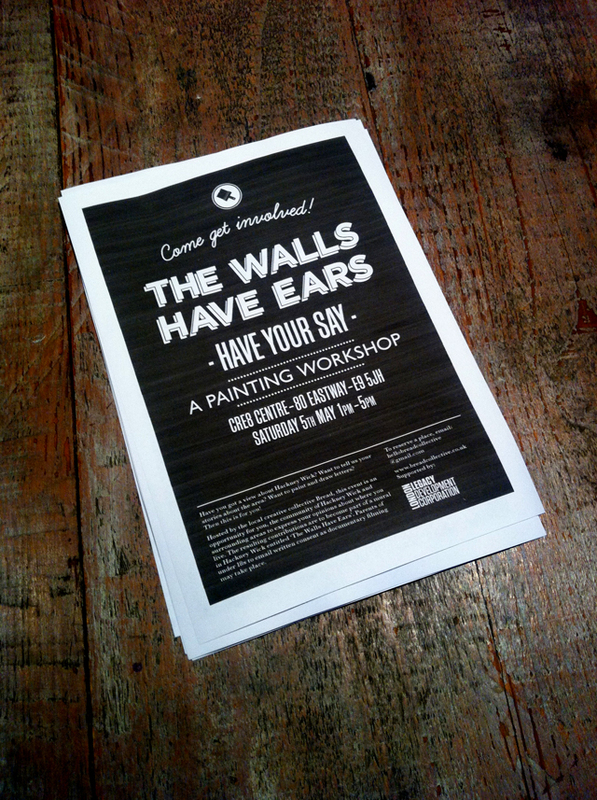 The workshop was part of our The Walls Have Ears Project. 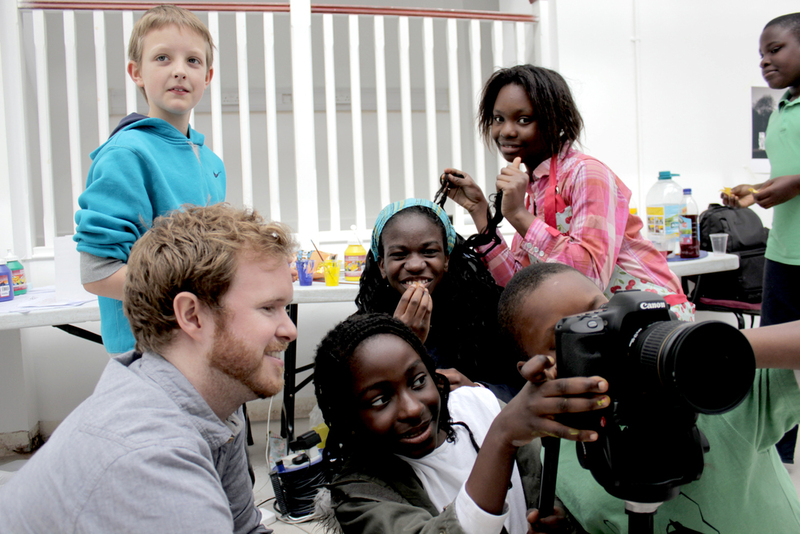 The aim of the day was to get kids from the local community to share their experiences, good or bad, of Hackney Wick. These experiences, along with others gathered from further research, will then inform our typographic mural on White Post Lane. The kids came along armed with their stories, experiences and relentless enthusiasm and energy – so thanks to everyone who came down. The day was a great success, we came away with tons of stories and the finished mural looked fantastic. 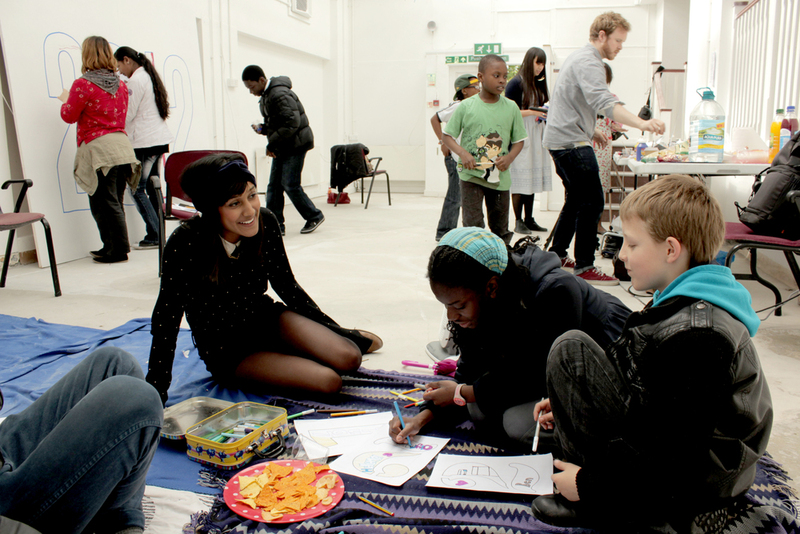 A big thank you to the Cre8 Centre too. The guys are nearly at the end of a complete regeneration of the centre and they have some really exciting plans for the future. 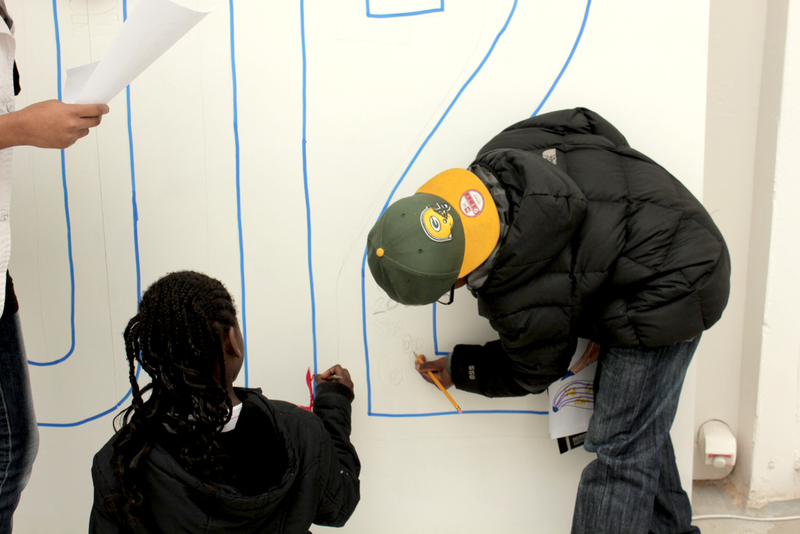 We feel that this type of direct engagement with the residents is vital when creating public art. 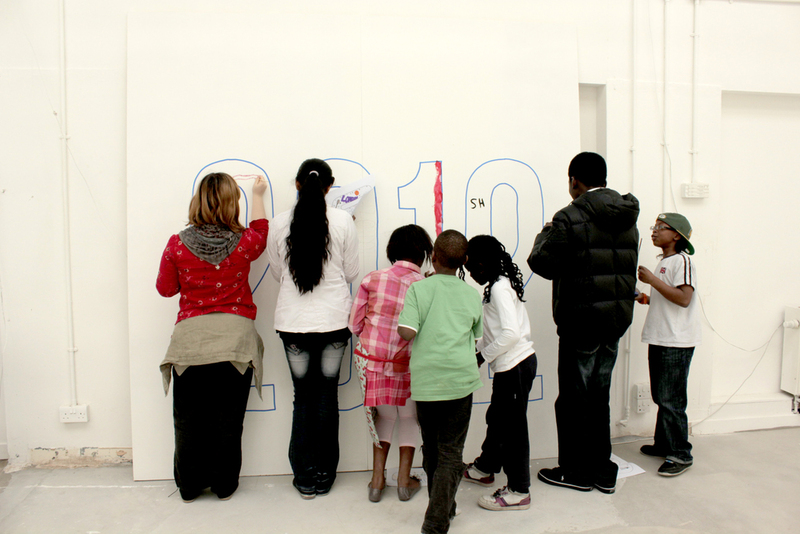 In the coming weeks we hope to meet a range of different people from the community before painting the mural. The area is going through a period of rapid development and although exciting, this type of growth can be disruptive and unsettling to people who might have lived here for 10, 20 or even 50 years. Public art should resonate with individuals and communities and hopefully, if we listen hard enough, we can achieve this with The Walls Have Ears.